The Democrats are the top two vote-getters out of 13 candidates in a low-turnout election last October. Carrillo won 22.16% of the vote and Lopez pulled 18.59% in an election where just 10% of the roughly 223,000 registered voters in the district— which also includes Chinatown, Lincoln Heights, City Terrace and unincorporated East LA—cast ballots, according to the Los Angeles Times. Both candidates are smart, progressive and have union backing, though they differ in experience. 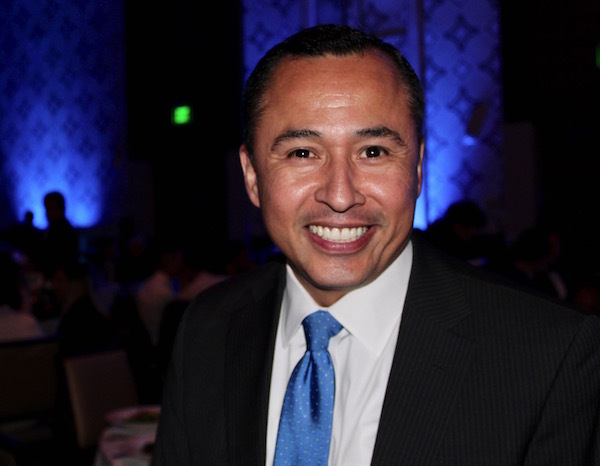 López, 44, the director of government affairs for City of Hope Medical Center since 2015 and a neighborhood activist, has a master’s degree in public policy, housing and urban development from Harvard and a bachelor’s degree in sociology from Pomona College. But for the most part, Lopez’s career has been in the public health sector. From 2003 to 2015, Lopez worked in various capacities at AltaMed Health Services, including spearheading the formation of the Latino Coalition Against AIDS. He’s served on the board of Planned Parenthood/Los Angeles since 2010 and has received their endorsement. 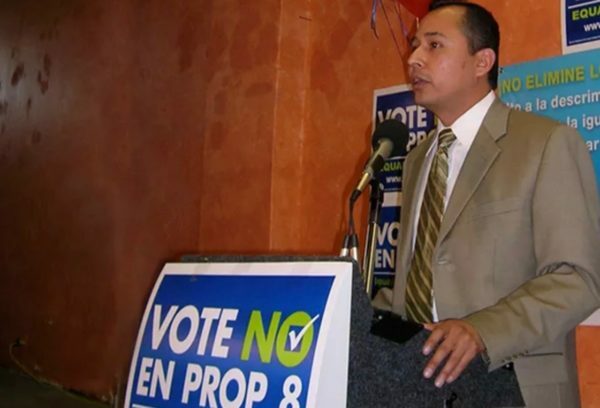 In 2005, he co-founded the statewide Latina/o LGBT political action committee Honor PAC and served as founding president for five years and during the fight against Prop 8, he helped open the campaign’s East L.A. office. He lives in the Eagle Rock with longtime progressive activist, Hans Johnson, his partner of 13 years. Lopez has been endorsed endorsements by slew of LGBT elected officials, including out LA County Assessor Jeff Prang, LA City Controller Ron Galperin, LA Councilmember Mitch O’Farrell, former Assemblymember Jackie Goldberg, Rep. Mark Takano, Long Beach Mayor Robert Garcia, as well as the California Legislative LGBT Caucus, Equality California, Honor PAC, the Victory Fund, Stonewall Democrats, and others, including LaOpinion newspaper. But Lopez does not have a corner on LGBT endorsements. Carrillo is backed by much of the Democratic political establishment, endorsements including the man she hopes to replace, Jimmy Gomez, as well as out State Sen. Ricardo Lara, former rival Alex De Ocampo, as well as the California Democratic Party, chaired by out Eric Bauman, and the LA County Democratic Party, chaired by out Mark Gonzalez. Carrillo graduated with a BA from East Los Angeles College and Cal State LA, and she has a Master’s Degree from USC. She has an award-winning journalistic career in community radio and on social media as a host and producer. Prior to that, she worked as served as a communications manager for SEIU ULTCW dealing with an array of labor issues. Both have compelling personal stories. Lopez about was born in East LA and raised in El Monte without his mother after she died of kidney disease when he was 8 years old. Nonetheless, his public school education got him to Harvard. Carrillo came to the US as an undocumented child from El Salvador, becoming a US citizen in her early 20s. The explosion of sexual harassment allegations in the state capitol may give a boost to Carrillo’s campaign. But news that she “benefited from over $500,000 in outside spending from independent expenditure committees largely funded by labor unions,” including “support to the tune of $38,000 from a committee funded by charter school proponents,” as The Times reported, may hurt her with advocates for public schools—Lopez is endorsed by UTLA, the United Teachers of Los Angeles. But it’s a last minute attack, believed to be spearheaded by Carrillo’s SEIU backers, that may have serious repercussions beyond Tuesday’s election. 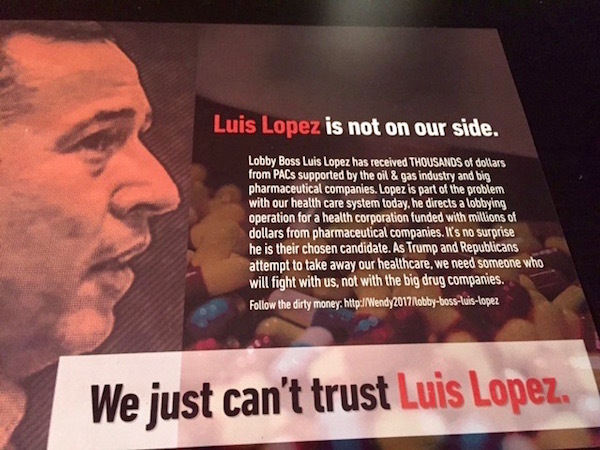 Just before Thanksgiving, the union-backer sent out roughly $9,583 worth of mailers that claim Lopez—who works as a government lobbyist for the City of Hope—can’t be trusted because he is in the pocket of big oil and Big Pharma because his supporters at one time took donations from these big companies. The link on the mailer has been taken down on Sunday—but for weeks it linked to filings by Equality California during last year’s San Francisco Assembly race between gay Scott Wiener and ally Jane Kim. EQCA backed Wiener while SEIU backed Kim. 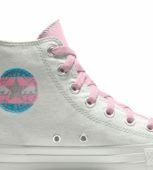 EQCA, HONOR PAC and out Assemblymember Evan Low, chair of the LGBT Legislative Caucus took the attacks as misleading and homophobic. 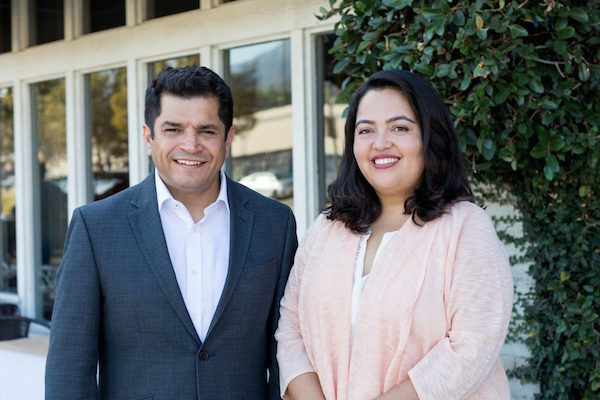 “We are disgusted to see yet another homophobic smear campaign rear its ugly head, this time launched by supporters of Wendy Carrillo against openly gay candidate Luis Lopez in the race for California Assembly District 51. 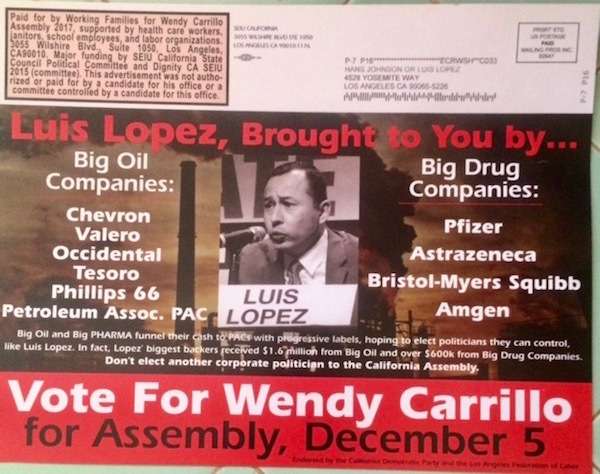 In campaign mailers and digital communications, supporters of Wendy Carrillo attacked the integrity not only of Luis Lopez, but also of Equality California and members of California’s LGBT Legislative Caucus, conveying false information to voters about the funding of his campaign,” HONOR PAC President Mario Ceballos and Equality California Executive Director Rick Zbur said in a joint statement. In response, out LA County Democratic Party Chair Mark Gonzalez called the charges of homophobia “Baseless Straw-Man Claims” and urged support for Carrillo. “I read the resumes of those running in this race. I’ve researched their positions and who they align themselves with. 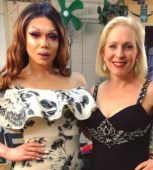 Let me say that it’s clear there’s only one person who will be a champion for all her constituents. Whether people are rich or poor, working nine-to-five or five-to-nine, my friend Wendy is the obvious choice to represent them in the 51st. This is why she is the ONLY candidate in this race endorsed by the Democratic Party,” said Gonzalez. “Wendy has worked to improve the lives of every single individual in Los Angeles. She knows the issues effecting everyone living in this district, from housing affordability, to minimum wage, to healthcare access, to making sure that everyone has an equal shot at the American Dream. We all work every day to make Los Angeles and California an ever more progressive beacon, and with Wendy Carrillo in Sacramento, our work will be that much more effective,” he continued. “This is why baseless attacks from supporters of Wendy’s opponent arbitrarily calling her and her supporters ‘homophobic’ just for questioning Luis Lopez’s supporters’ use of oil contributions is despicable. Lopez’s camp pulled the same low-brow tactic when he ran against Jimmy Gomez for this exact seat in 2012. The voters saw through it then, and they will see through it on election day. 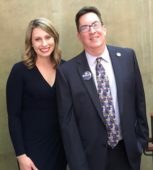 “Then LACDP Chair and openly gay Eric C. Bauman stood by Jimmy Gomez as Lopez’s supporters erroneously labeled him as a homophobe, and I, current LACDP Chair and an also openly gay man who is a lifelong resident of Assembly District 51, stand beside Wendy Carrillo today,” Gonzalez said. The key will be turnout—will the Democratic establishment and SEIU get out the vote for Carrillo or will the neighborhood grassroots activists turn out for Lopez. 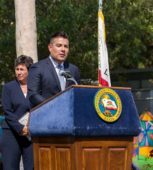 López, 44, the director of government affairs for City of Hope Medical Center since 2015 and a neighborhood activist, has a master’s degree in public policy, housing and urban development from Harvard and a bachelor’s degree in sociology from Pomona College. But for the most part, Lopez’s career has been in the public health sector. 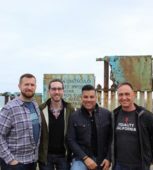 From 2003 to 2015, Lopez worked in various capacities at AltaMed Health Services, including spearheading the formation of the Latino Coalition Against AIDS. 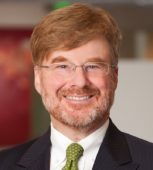 He’s served on the board of Planned Parenthood/Los Angeles since 2010 and has received their endorsement. In 2005, he co-founded the statewide Latina/o LGBT political action committee Honor PAC and served as founding president for five years and during the fight against Prop 8, he helped open the campaign’s East L.A. office. He lives in the Eagle Rock with longtime progressive activist, Hans Johnson, his partner of 13 years. Lopez has been endorsed by slew of LGBT elected officials, including out LA County Assessor Jeff Prang, LA City Controller Ron Galperin, LA Councilmember Mitch O’Farrell, former Assemblymember Jackie Goldberg, Rep. Mark Takano, Long Beach Mayor Robert Garcia, as well as the California Legislative LGBT Caucus, Equality California, Honor PAC, the Victory Fund, Stonewall Democrats, and others, including LaOpinion newspaper. Check out LAVote.net for polling place and other Special Election information.